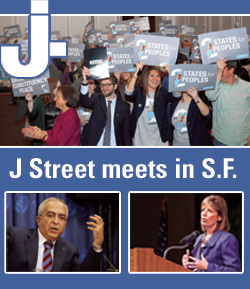 J Street convenes in San Francisco: First national summit taps into large Bay Area support base – J. For the first time in its six-year history, J Street is set to hold a national summit, bringing together Americans, Israelis and a prominent Palestinian for two days of speeches, strategizing and panels. And it’s being held in San Francisco. 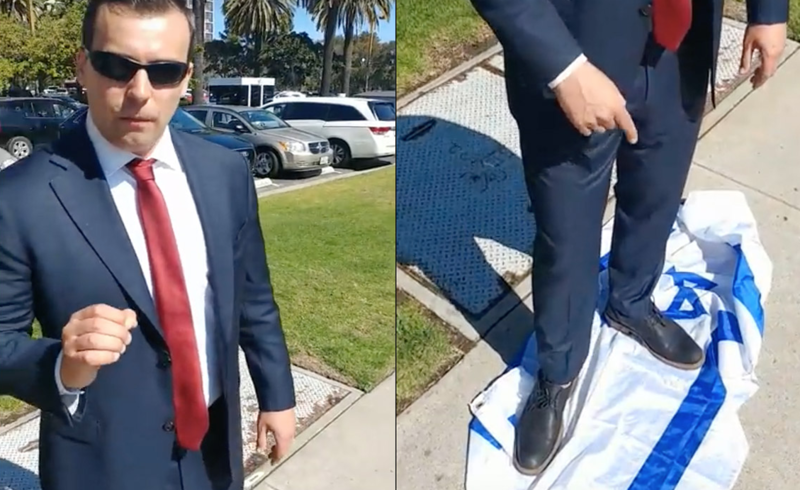 Depending on one’s stance on the controversial, self-described “pro-Israel, pro-peace” lobby and political action committee, the June 7-8 gathering is a positive step forward in its quest for a two-state solution between Israel and the Palestinians. Or it’s akin to the Hells Angels roaring into town. The lineup of speakers is power-packed: former Israeli ambassador to the United Nations Gabriela Shalev, former U.S. ambassador to Israel and Egypt Daniel Kurtzer, and former Palestinian Authority Prime Minister Salam Fayyad. Other speakers and panelists on Sunday, June 8 will include Reps. Jackie Speier (D–San Mateo) and Jared Huffman (D–North Bay), Knesset member Merav Michaeli and B’Tselem USA director Anat Saragusti. Nine breakout sessions will cover such topics as the Arab Spring, Iran, Israeli public opinion, and building a viable Palestinian state. The two-day gathering will close with a gala fundraiser dinner that will honor Carol Winograd, a retired Stanford University professor of medicine and J Street board member. Also in attendance: J Street founder and executive director Jeremy Ben-Ami, who will serve as a kind of master of ceremonies and participate in several panel discussions. J Street’s 2013 national conference in Washington, D.C.
Why San Francisco? 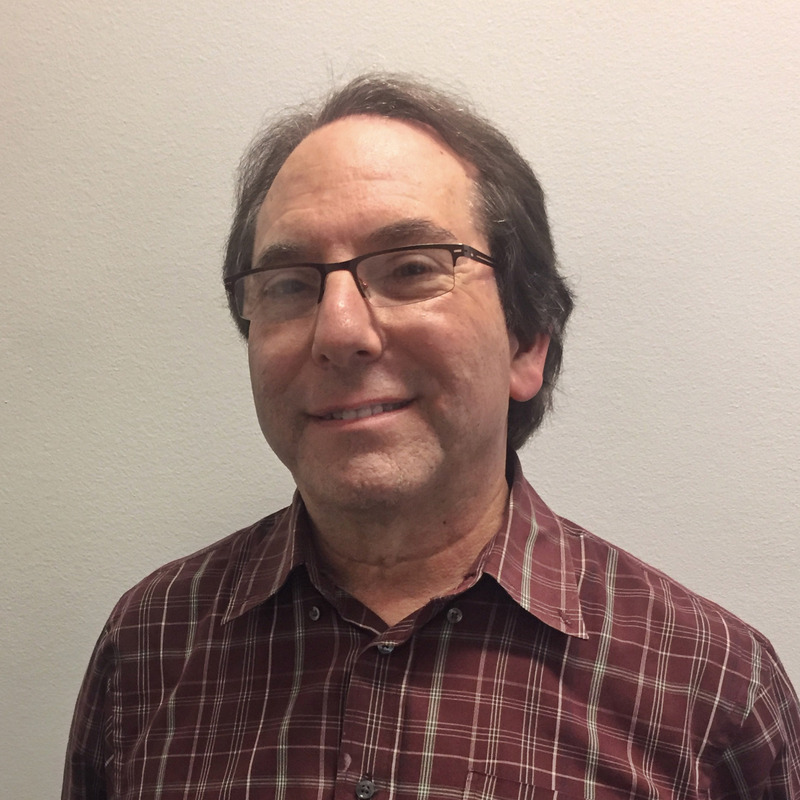 The Bay Area constitutes one of J Street’s largest bases of support, with more than 13,000 supporters, according to S.F.-based regional director Gordon Gladstone. Five members of J Street’s national board, 52 members of its rabbinic council and 11 of its endorsed members of Congress hail from the region. It is also a major source of financial support. J Street’s director of education and programming, Sarah Beller, helped organize the summit, which coincides with a low point in the history of Middle East peace. The recent collapse of talks brokered by Secretary of State John Kerry has dimmed prospects for J Street’s prime goal of a negotiated two-state solution. “We want to show that even as there are lulls in direct peace talks, we as a pro-Israel, pro-peace movement continue to grow, deepen our roots and project our voices in all parts of the country,” she said. Beller expects talks will get back on track eventually. Israel’s former U.N. ambassador agrees. Shalev, 72, became one of her country’s top lawyers, jurists and law professors before being appointed to the U.N. post in 2008 under former Prime Minister Ehud Olmert. She was the first woman to serve in that post. She is now president of Israel’s Ono Academic College. Shalev’s first husband died in the Yom Kippur War in 1973. She cares deeply about her country, which, she says, explains her support of J Street. “We Israelis that want peace and believe it can only be achieved through negotiations and diplomacy, we must support J Street, which also represents the younger and more moderate sector of the Jewish people in the United States,” she said. She is referring to J Street’s persistent emphasis on a two-state solution to the conflict. Not at all a new concept, the two-state solution has been embraced theoretically by all but the most extreme players in Middle East peace. Yet today it seems more remote than ever. Kurtzer, a Princeton professor and strong proponent of continued American leadership in the region, looks forward to sharing the stage with Shalev and Fayyad, both of whom he says he knows and admires. He applauded Kerry’s efforts but says America must not give up now that talks have collapsed. Kurtzer is the latest current or former government official to speak at a major J Street event, following such past headliners as Vice President Joe Biden, House Minority Leader Nancy Pelosi, Middle East envoys Martin Indyk and Dennis Ross and emeritus Reform movement leader Rabbi Eric Yoffie. In its first years, J Street got the cold shoulder from many American and Israeli officials, who saw the organization either as an arrogant upstart seeking to supplant AIPAC’s role as the prime Israel lobby, or as a far-left fifth column working against Israel’s interests. Nevertheless, J Street has opened nine offices around the country and maintains a staff of 55. During election cycles, it endorses and contributes to dozens of House and Senate candidates, like any other PAC. Its influence is growing. In recent years, leaders such as Shalev and Kurtzer have not shied away from attending J Street events, even if they may not fully agree with all of the organization’s policy positions. Representing the younger voice is Sarah Beller (no relation to the J Street education director with the same name). The 21-year-old Stanford University junior grew up in a Zionist home in London, and later in San Francisco, visiting Israel often during her childhood. The classics major and Hillel activist joined the Stanford chapter of J Street University because “it fit my political views” and because, she says, the school’s Jewish Student Union did not do enough outreach beyond the Jewish population. For Beller, dialogue is crucial. Jeremy Ben-Ami greets Mideast special envoy Martin Indyk at the 2013 conference. Beller will be one of more than 400 people expected at the summit. That’s a rough count tallied by J Street’s Gladstone. 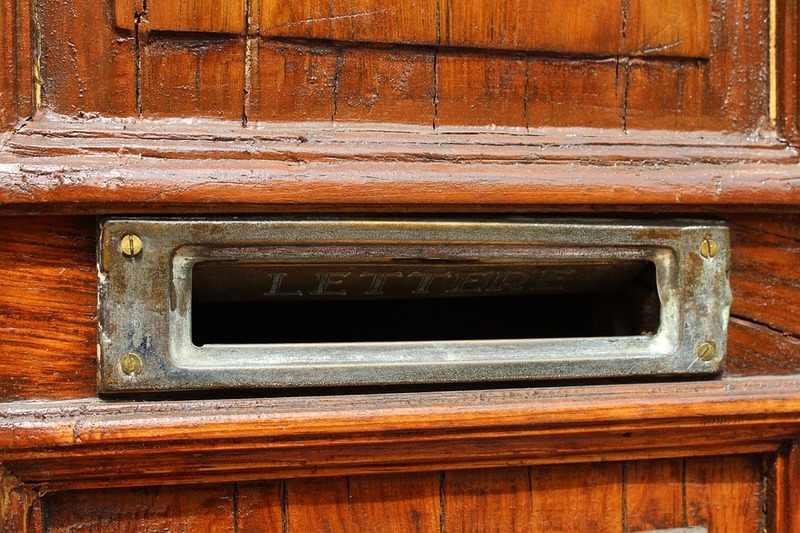 He predicts a mix of longtime supporters (the organization’s website claims 180,000 nationwide) and curious newcomers eager to take part in the discussion. A hot topic of conversation may be J Street’s failure to win enough votes last month to gain membership in the Conference of Presidents of Major American Jewish Organizations, a key national umbrella group. Though it garnered “yes” votes from mainstream organizations such as the Anti-Defamation League, the Union for Reform Judaism and the United Synagogue of Conservative Judaism, J Street’s membership bid was shot down in a 23-17 vote (with three abstentions). But as it is, many in the Jewish communal world just don’t like J Street, and they feel they have good reason. “The J Street Challenge,” a 2014 documentary produced by Americans for Peace and Tolerance, makes a public case against the organization. Condemning J Street on camera are such prominent Jewish community figures as Alan Dershowitz, Jerusalem Post editor Caroline Glick and writer Daniel Gordis. To them, J Street is riddled with potholes. Detractors accuse the organization of seeking to engineer an imposed peace agreement while downplaying Israeli security concerns. They accuse J Street of harboring a hostile attitude toward the Jewish state, despite pro-Israel sloganeering. Their evidence includes years of J Street public statements, many of which, they say, condemn Israel, and few that assign blame to the Palestinian side. Not surprisingly, Ben-Ami denies his critics’ charges. “The primary line of opposition tends to be a recitation of lies that have little to do with the substance of points we are making instead of legitimate disagreement,” Ben-Ami said. The J Street website includes a “Myths & Facts” page that strongly refutes every negative assertion — that J Street is not truly supportive of Israel, is out of touch with American Jews, opposes Israel’s use of force, sponsors anti-Israel activists and fails to sufficiently condemn Iran’s nuclear program. It also categorically rejects the Palestinian so-called “right of return,” which, if adopted, would flood Israel with Palestinians and unmake the country as a viable Jewish state. Still, he unapologetically supports the Palestinians’ right to a viable state of their own. The J Street position, he said, is that the Palestinians must recognize Israel, disavow violence and abide by prior agreements. That is also the prevailing view of the United States, the European Union and a majority of Jews. For J Street members and staffers such as regional director Gladstone, the criticism comes with the territory. He has found that disagreements can lead to better understanding. Stanford student Beller echoes the sentiment.